Square Enix has posted a new narrated Gameplay Overview trailer for Kingdom Hearts III, showcasing normal combat as well as the Gummi Ship mode. It also gives us a glimpse at some of the minigames you'll play throughout the game. 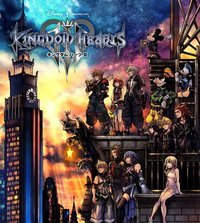 Kingdom Hearts III is scheduled to be released for PlayStation 4 and Xbox One in Japan tomorrrow, and worldwide on January 29, 2019.